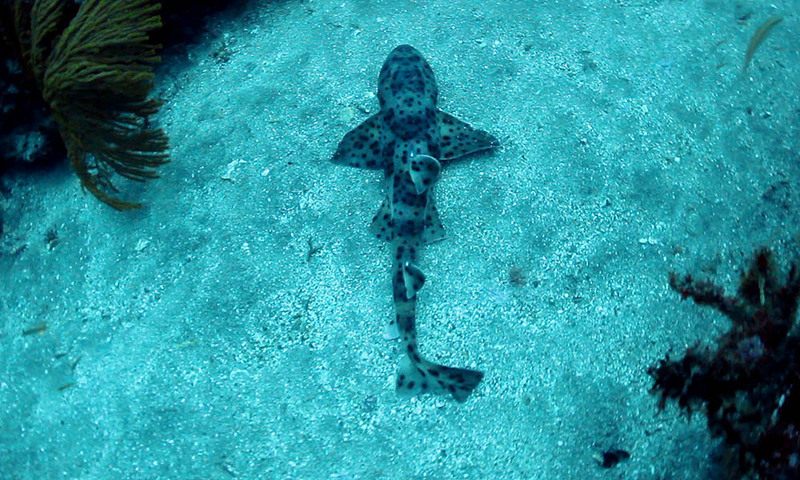 Since its discovery 175 years ago, the Galapagos bullhead shark has been almost ‘forgotten’ from science. So little is known about the species the IUCN have assessed it as ‘Data Deficient’. Lack of information about sharks is highly problematic when it comes to managing the Galapagos Marine Reserve. Without knowledge about where bullhead sharks live, which habitats they use or even how many there are, scientists and marine managers are unable to ensure the bullhead shark receives the protection it needs. 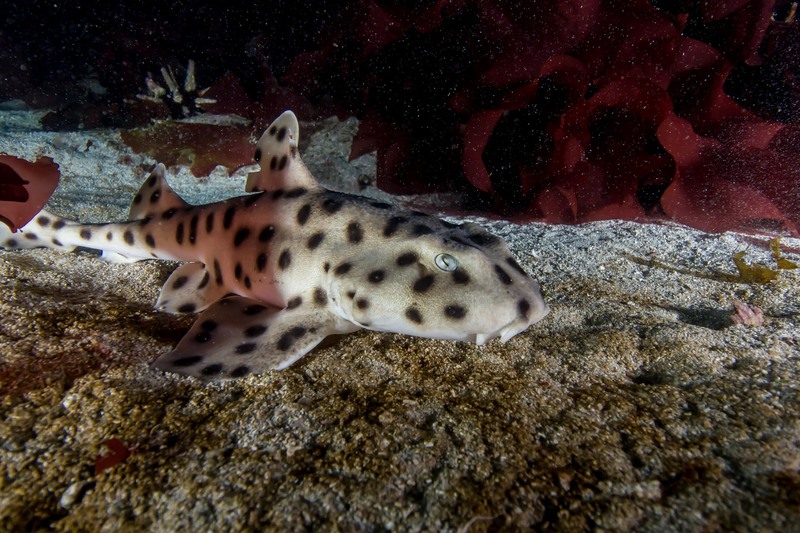 We know the Galapagos bullhead shark (Heterodontus quoyi) is a small, inconspicuous, bottom-dwelling elasmobranch that has been present on earth since the early Jurassic period. It is thought to grow up to 107cm long and inhabit flat, rocky and boulder strewn reef areas, where is rests motionless on the bottom. The species range extends around the Galapagos Archipelago and expands along the Peruvian coast. However, due to the lack of data scientists aren’t even sure if the Galapagos and Peruvian populations are the same species, with some believing the Peruvian population is a different species (Heterodontus peruanus) altogether. 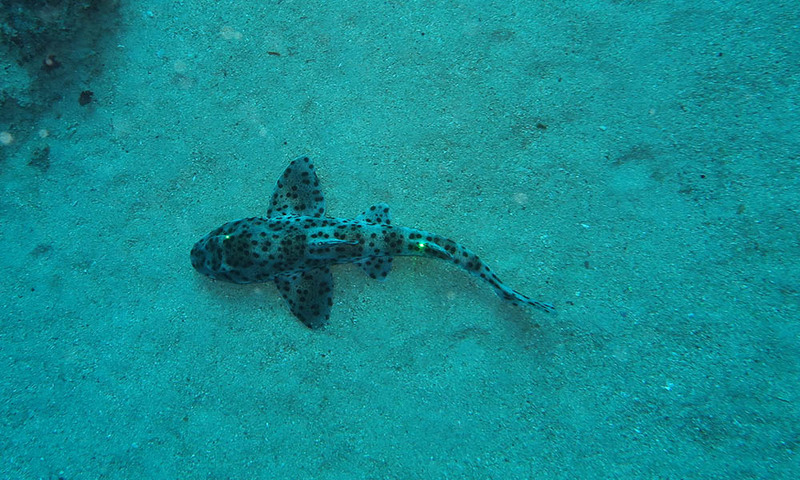 How many bullhead sharks are there in the Galapagos? Where are the breeding, feeding and nursery ‘habitat hotspots’ located? Is the Galapagos species genetically distinct from the Peruvian coastal population? 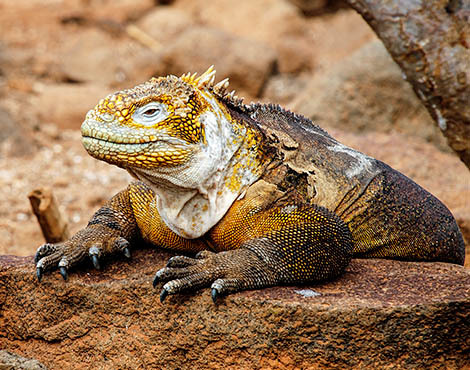 What are the current threats to the Galapagos population? Find out more about the project in this fantastic infographic produced for us by Lisa Brown. 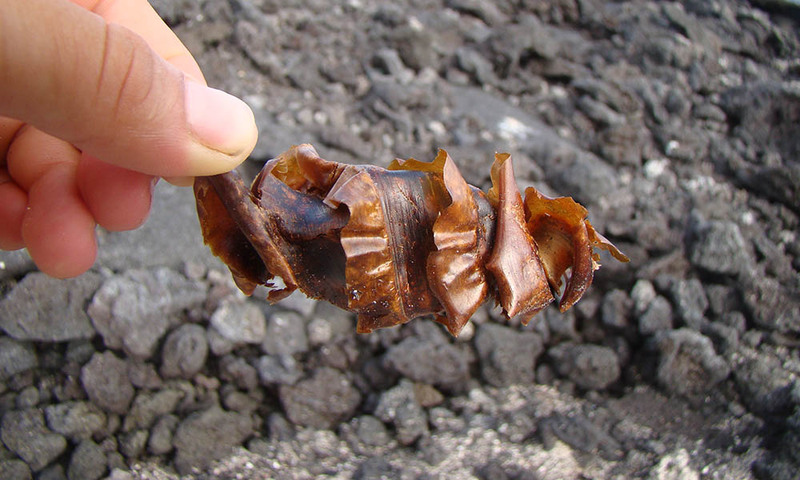 As of the end of 2017, the project has made significant progress, with a total of 153 individuals being tissue sampled and photographed throughout the nine identified nursery areas for bullhead sharks in Galapagos, across six islands. 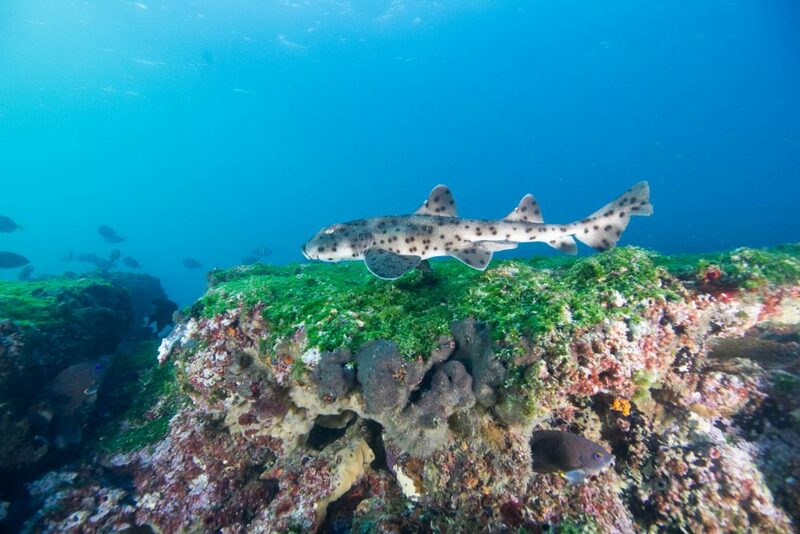 A new “hot-spot” for bullhead sharks was also discovered in 2017 on Española. As a key part of all Galapagos Conservation Trust (GCT) projects is to engage with local stakeholders and community members, the team actively sought their involvement with the project. Subsequently, the research cruises were carried out in partnership with three local students, three Ecuadorian researchers, seven international volunteers and Marine Park Rangers, who helped plan and implement all data collection. The team successfully collaborated with scientists from Peru to try and establish whether the bullheads found off mainland Peru are indeed a separate species. Tissue samples from both populations are currently being analysed with their results potentially evidencing another endemic species to the Archipelago. Gaining an insight into the morphology of this species was identified by the team as key to informing future marine management plans. Therefore, using the photographs taken the male sharks’ level of maturity was deciphered by assessing their claspers for articulation and degree of calcification. Conversely, evaluation of female maturity cannot be done externally and therefore the presence of reproductive hormones was used to determine this. From this information the team has begun to get an idea of the average sizes for male and female bullhead sharks at maturity. This data is vital to understanding how this species will be affected by pressures of overfishing, as the number of adults and juveniles caught can help elucidate how this may impact upon population dynamics. The photographs of all captured individuals have been crucial to the mark-recapture methods utilised for population estimates. 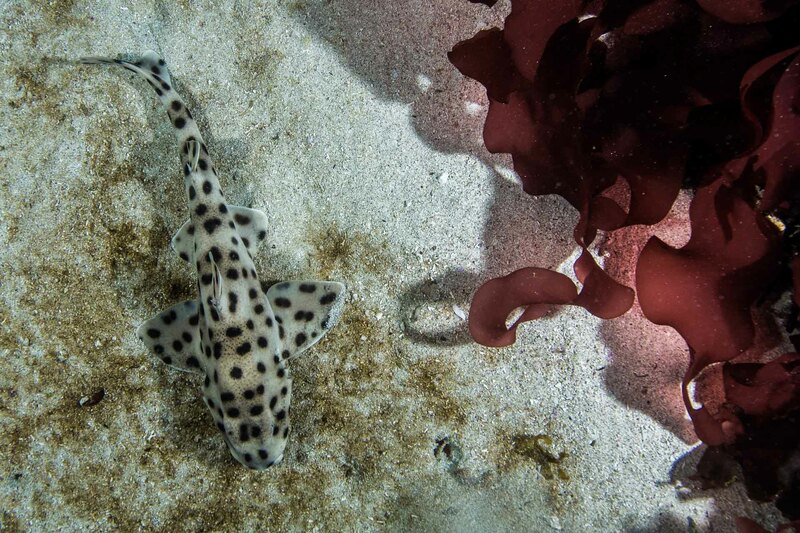 These methods are part of the wider citizen science component of the project, which has sought to engage local guides to upload their own photos of sharks to the project’s citizen science website. All external photos are cross referenced against those taken by the team to form population estimates. Local involvement with the project has benefited from a series of courses run across all foyr inhabited islands, with a total of 500 guides attending. Each course gave an overview of the project, why it is important and how its attendees can get involved. Community engagement was further enhanced by the running of an annual Shark Day which provided a range of educational activities and resources that helped promote the project to local families. The 2017 Shark Day provided opportunities for local community members to learn to snorkel and locate sharks. Check out the highlights from the event in this video. The team hope to reach an even wider audience soon by publishing its outreach materials on Galapagos Conservation Trust’s bilingual educational website Discovering Galapagos. Let’s not allow these sharks to be forgotten any longer. Please help us to support their conservation by giving a donation to marine projects, adopting a Galapagos animal or joining up as a GCT member. Watch the video to find out what the research team get up to when they're out in the field.